The unparalleled accuracy of WineScan is based on a reference database of 105,000 samples. This is why 9 out of 10 wine service labs use a FOSS wine solution for fast and reliable data generation. 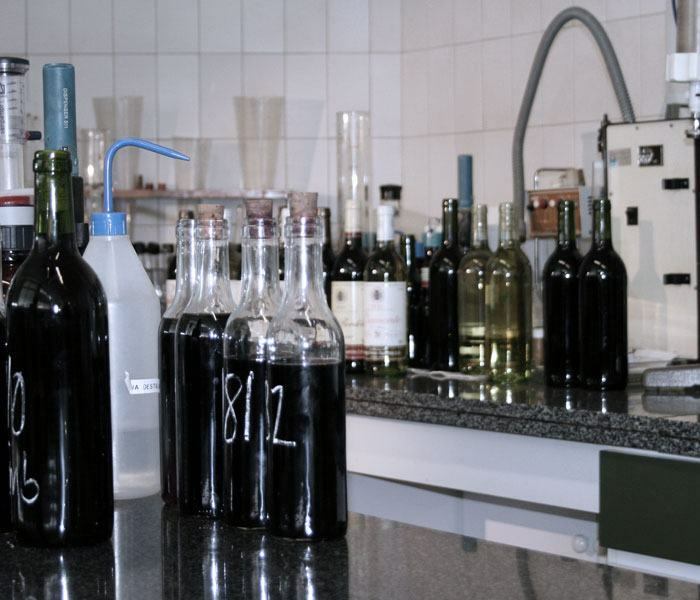 Enopiave wine laboratory, Italy explains how WineScan SO2 has given their business a competitive edge with fast and accurate and data that allows them to respond to their customers in real-time. Are you ready to explore cost per sample? Get in touch with our specialists to discuss your business value with a FOSS wine solution. Sorry, we were not able to submit your form. Integral Laboratory explains the benefit of WineScan™ Auto for accurate and high throughput wine analysis. Rapid and accurate SO2 analysis in wine. Get all the benefits of the renowned WineScan™ plus rapid and accurate free and total sulphite analysis in just 2 minutes. The leading solution for rapid wine analysis. The renowned WineScan™ is virtually a “laboratory in a box” with more than 20 results in 30 seconds. Modern wine analysis equipment such as the WineScan S02 offer a raft of functionality from checking grape soundness to tests prior to bottling, while also giving the option to simultaneously test sulphur dioxide. But how is this technology being exploited and how does it add value in the process? Can technology do more to improve wine? Analytical technology introduced to the wine industry over 14 years ago is making a major difference to the way wine is produced today. And according to speakers at the FOSS wine conference in Bordeaux earlier this year there's a lot more in store for the innovative wine industry. Tracking the phenolic maturity of grapes is helping Union de Producteurs in St. Emilion to make better wine with a significant increase in the volume of grapes going into top cuvee wines over recent years. Dr. Loosen from the Mosel Valley explains how the OenoFoss analyser adds value as a faster and more convenient alternative to testing at an external laboratory.